SV-200 Safety Pop Up Valve 200 PSI ASME CODED 200 PSI Brass Safety Valve 1/4" NPT Male Fitting Brand New! Please contact us if you need more than one. We offer discount on higher quantities. Please contact us if you need more than one. We offer discount on higher quantities. Durable heavy gauge base with low pressure drop bracket and pipe design. pilot valves are used in compressed air systems to actuate another device using a pneumatic (air) signal. pilot valves always work in conjunction with another device. examples of usage include - actuating a throttle control to slow down or speed up and engine - opening and closing a discharge valve to vent air to the atmosphere - operating intake unloaders in the compressors head. 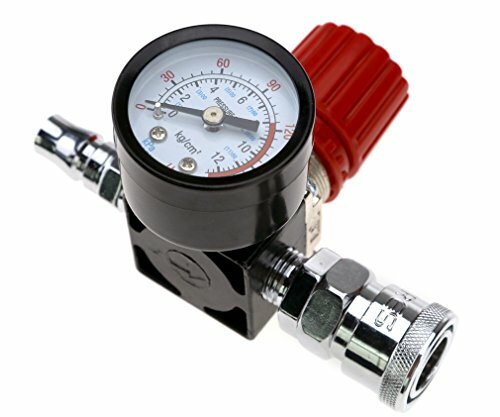 Pilot valves operate in a set pressure range. The range has an unload setting and a load setting. As a compressor operates in this range, it is said to by cycling. At the unload setting, the pilot valve opens and actuates another device (throttle control, discharge valve). At the load setting, the pilot valve closes and returns the compressor to normal operation. NEED A THROTTLE CONTROL CABLE??? Visit our store for numerous sizes and ratings on throttle control cables. we do combine shipping on all of our products. Compatible with many Dewalt and Porter Cable Compressors. 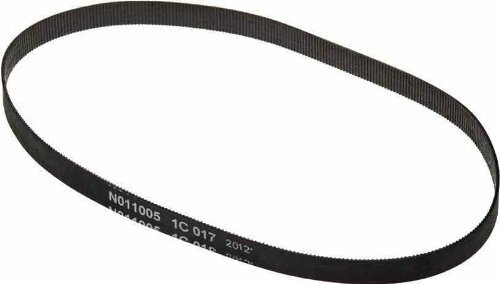 The Craftsman N011005 Drive Belt is an OEM part and replaces obsolete part no. A12210. 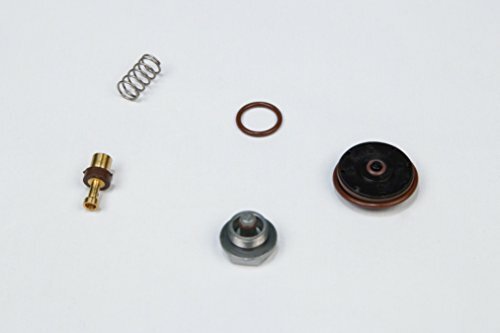 This part is compatible with air compressors and is designed for a longer life. Craftsman is a leader in wrench sets, garage door openers, screw drivers, air compressors and much more. With over one billion hand tools sold and countless industry awards, Craftsman is America's number one tool brand. 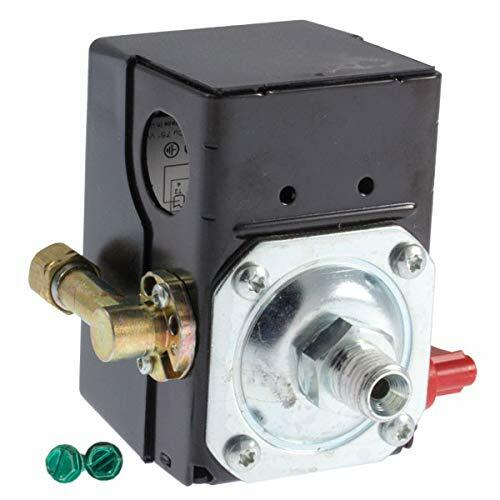 The Campbell Hausfeld CW209300AV Air Compressor Pressure Switch is an authentic Campbell Hausfeld replacement part. It replaces obsolete part number CW209300AJ. 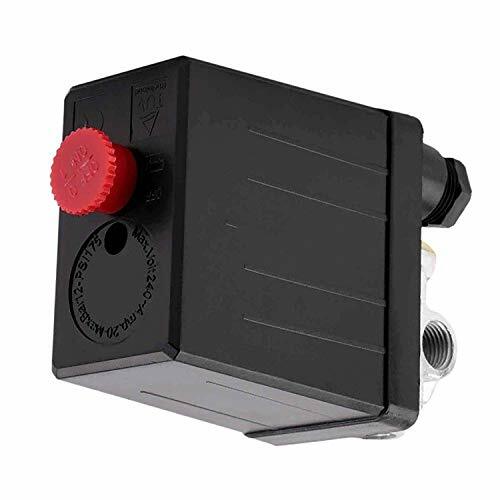 This pressure switch is compatible with the following Campbell Hausfeld Air Compressor models: VT633500, VT632900, EX840100, VT619504 , VT627504, VT631402, EX840500, VT627505, VT631403, EX840100, VT619504, EX840500, VH611000AJ, VH611200AJ, VH611001AJ, VH611201AJ, VH631400AJ, VH611001AJ, VH611201AJ, VH611300AJ, VH631400AJ, VT6276, VT6242, VT5595, VT5587, VT6395, VT6276, VT6242, VT5587, VT6395, VX8314, VT558804, VT619503, VT627503, VT623803, VT6312, VT630100, VT6310, VT558804, VT619504, VT627504, VX832003, VT631201, VT631001, VT632000, VT6311, VT6314. Campbell Hausfeld has offered durable, reliable equipment for consumers and professionals. Campbell Hausfeld provides consumer and commercial-grade air compressors, air tools, air nailers, staplers, tire inflators, paint sprayers, pressure washers and welders. This Is Our "V" Style Twin Piston Air Compressor Head Which Is Ideal For 3HP Motors. 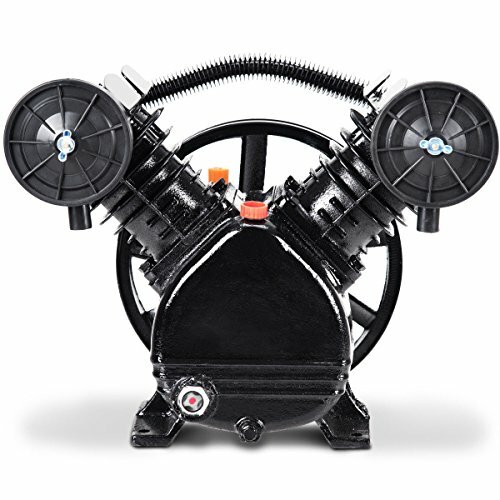 Equipped With An Iron Construction With Cast Cylinder Sleeves, This Pump Head Is Designed For A Long Time Use And Is Easy For Maintenance. Its Belt Drive Design Also Provides Great Compression And Smooth Operation. Don't Hesitate To Bring One Home! 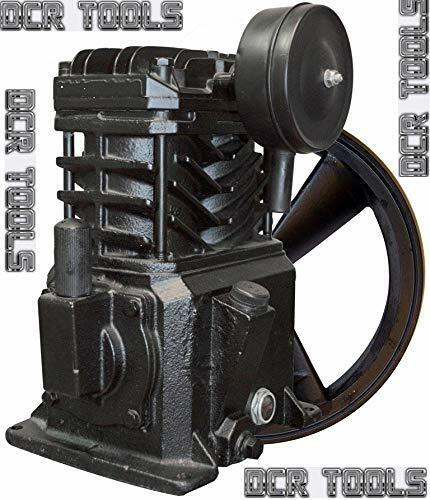 Sturdy Structure Equipped with an iron construction with cast cylinder sleeves, this pump head is designed for a long time use and is easy for maintenance. High Efficient Work Max air delivery of 8.8 CFM, two mufflers with two high efficiency intake filters and V-style cylinder design for superior cooling, reduces moisture and extends the life of the air compressor pump. Oil Viewing Window By observing the oil viewing window, it can monitor the oil capacity inside the machine in real time, and control the amount of oil when you adding the air compressor oil. Smooth Operation The proven belt driven design is great for excellent compression & smooth running. Recommended Use With the high exhaust efficiency, low noise, smooth operation and less fuel consumption, it's the best choice for you. Interstate Pneumatics air compressor intake air filter. 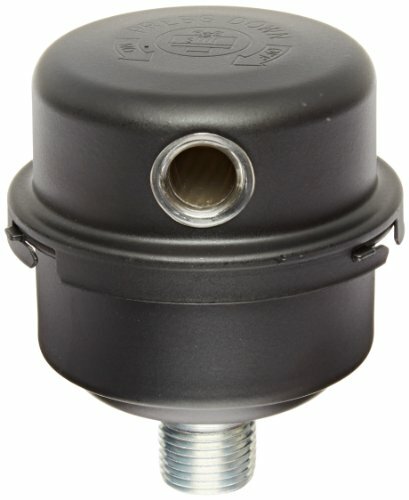 This replacement filter is a common filter used on many brands of compressors. 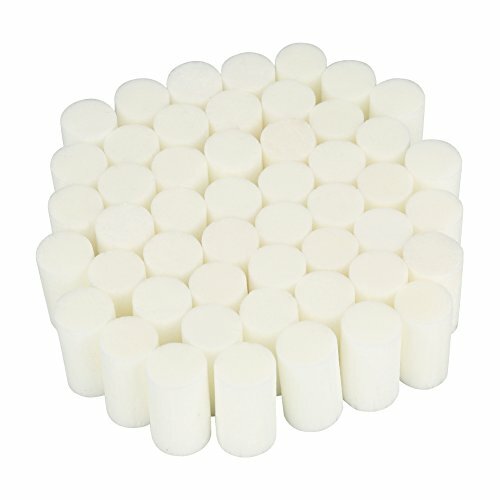 This filter element is made with a heavy duty paper material. This is a top quality filter and has a 99% filtration efficiency. WARNING: This product can expose you to chemicals which is [are] known to the State of California to cause cancer and birth defects or other reproductive harm. For more information go to www.P65Warnings.ca.gov. FUNCTION - The Hromee check valve kit is used to prevent backflow in a piping system is known as a check valve. The pressure of the fluid passing through a pipeline opens the valve, while any reversal of flow will close the valve. It allows full unobstructed flow and automatically shuts as pressure decreases. 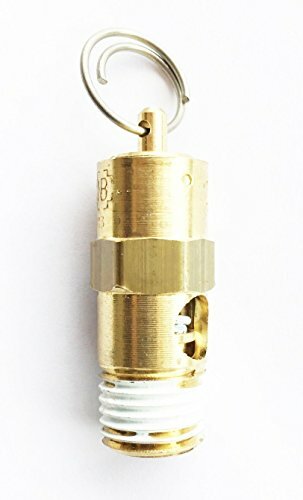 TWO FITTINGS - The valves check valves are all brass and It comes with 2 different unloader fittings, barbed and push to fit for the 1/4 nylon unloader tubing. CONSTRUCTION - One piece brass body stainless steel springs glass filled fluoropolymer poppets for positive sealing and long term reliability. It can be disassembled for cleaning and repairing. Maximum pressure of 450 PSI and air flow of 20 SCFM. CONNECTION SIZE - 1/2 MNPT tank check valves are used to keep air volume and pressure from escaping back into compressor heads while not operating. 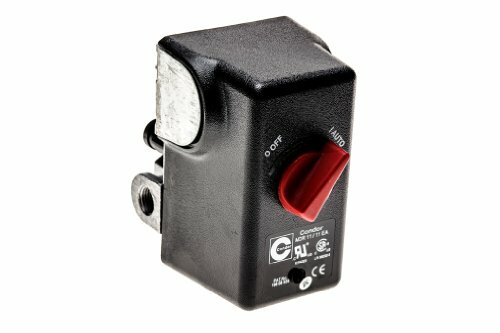 The 1/8 FNPT side port is designed for pressure switch application. COMPATIABLE - Hromee check valve kit is used to replace the check valve on some brands of air compressor. Consult your owner's manual to find if this check valve fits your air compressor. We offer 30-day return with no reason. With the barometer, can be set and read the data. With the valve knob, can according to need to adjust air pressure. Brand New! Please contact us if you need more than one. We offer discount on higher quantities. 1. Please allow 0.5~1 inch error due to manual measurement. Thanks for your understanding. Made of refined model and meticulous thread. Directly replace the old or broken one, easy to install. Selection of the materials with tough and durable aluminum alloy. Unloader valve (continuous run unloader) for gas & electric powered air compressors 95-125 factory setting. 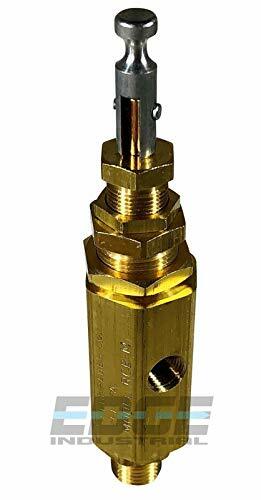 pressure can be adjusted 30-40 psi up or down 1/2" FPT TOP Inlet x 1/2" MALE Pipe Thread outlet. comes complete with hand unloader and muffler/silencer. 30 scfm Rating Piloted discharge check valves combine a pilot valve, a discharge valve, and a check valve into one system used to run an air compressor at a constant speed. They are used on both gas engine and electric motor compressors. 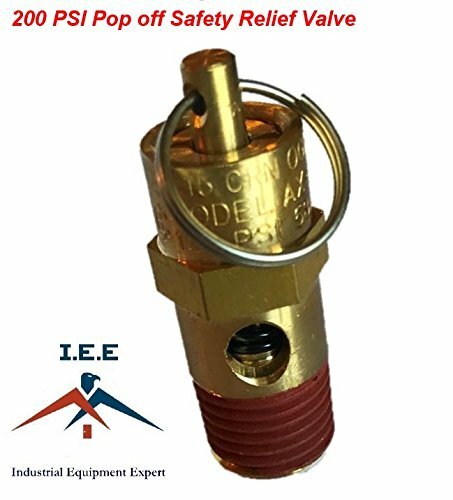 THIS LISTING IS FOR A NEW AIR COMPRESSOR PILOTED UNLOADER VALVE WITH BUILT IN CHECK VALVE, MOST COMMONLY USED ON GAS POWERED AIR COMPRESSORS. THE PILOT VALVE IS SET FOR 100-125 PSI FROM FACTORY ON THIS VALVE, BUT CAN BE ADJUSTED IF NEEDED 30-40 PSI HIGHER OR LOWER. THIS VALVE HAS A 1/2" FEMALE NPT AIR INLET AND A 1/2" MALE NPT AIR OUTLET. THERE IS AN 1/8" PORT ON THE SIDE FOR A THROTTLE CONTROL VALVE OR CABLE. 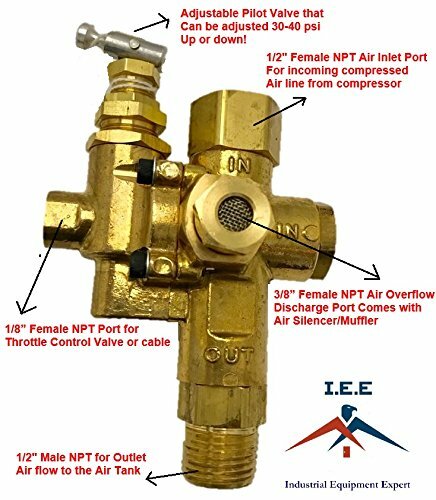 ALSO ON THE SIDE OF THE VALVE THERE IS A 3/8" FEMALE NPT OUTLET TO RELEASE THE AIR ONCE COMPRESSOR REACHES FULL PRESSURE WHICH COMES WITH A 3/8" MALE NPT AIR MUFFLER TO HELP REDUCE NOISE, THAT CAN BE REMOVED IF NEEDED. THE PILOT VALVE HAS A TOGGLE LEVER ON THE TOP THAT CAN BE PUT IN THE UPWARD POSITION FOR LOAD FREE ENGINE START OR THROTLE CONTROL. PICTURE OF THE VALVE HAS A DIAGRAM TO HELP UNDERSTAND MORE CLEARLY IF NEEDED. 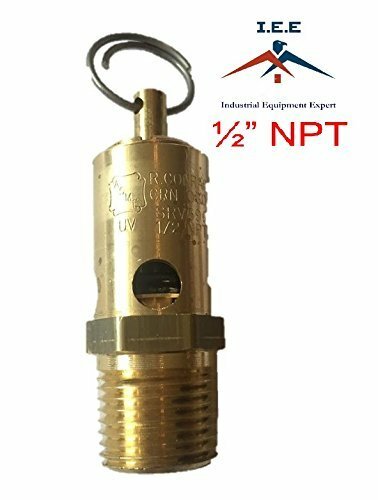 1/2 FPT TOP Inlet x 1/2 MALE Pipe Thread outlet. THERE IS AN 1/8 PORT ON THE SIDE FOR A THROTTLE CONTROL VALVE OR CABLE. BBT Air Compressor Muffler is a great option for reducing the noise of your compressor and is a great replacement option. You can used it on some noisy equipments such as blowers, air compressors, boilers, exhaust port, generators, pumps and exhaust ports. Suitable for oil-less air compressor. Widely Used on admitting port of the air compressor can effectively block the dust in the air moisture to reduce the noise at work. 100% high quality air compressor muffler is an ideal accessory for air compressors, quite easy to install, greatly help to improve the efficiency of air compressor and longevity. 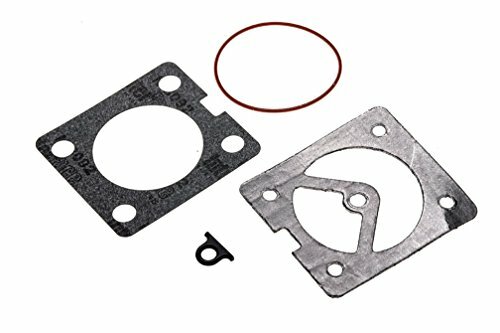 Craftsman D30139 Air Compressor Gasket Seal Kit. Gasket seal kit for an air compressor. Item replaces part number D28760. Part fits Black & Decker and Craftsman models. 6.4-Inch long, 8.1-Inch wide, and 1-Inch high. Package weight of this item is 1.5-Pound. Craftsman - America's Most Trusted Tool Brand - is characterized by durability, innovation and consistency. From hand tools to power tools and from lawn & garden equipment to tool chests and other storage solutions, Craftsman products are built to last and designed to give you the confidence to complete any project no matter the size. -Easy to install and disassemble. -With the barometer, can be set and read the data. 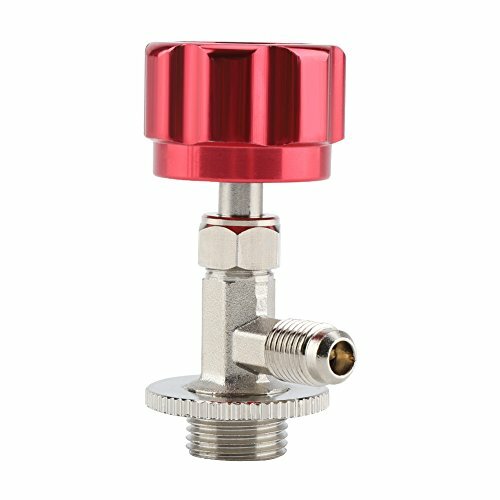 -With the valve knob, can according to need to adjust air pressure. -Can help to save electric energy. 2. Incorrect use of inferior oil or other brand oils will accelerate carbon deposits, thus shortening the life of the oil filter. The service life is up to 3000 hours, please use it correctly. DHL mailed, you can receive the oil filter in about 5-6 business days. - Double cups of glass suction plate, horizontal suction 100kg, vertical suction 75kg, Sucker diameter 150mm/5.91inch. - Great for lifting large glass, fix laminate floors as floor gap fixer, handling heavy mirror, moving windows tile granite sheet metal and any plane surface materials. - Can be used for glasses replacement at home, move household appliances, refrigerators, freezers, washing machines; Labor-saving for car windshield change. 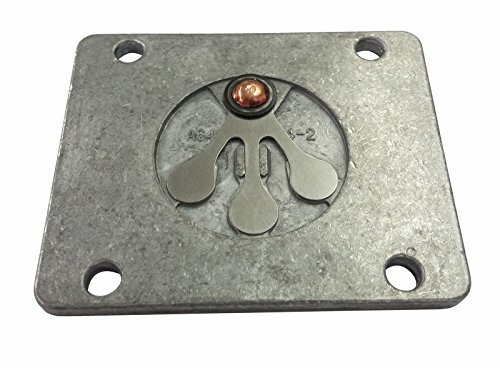 * Double cups of glass suction plate, horizontal suction 100kg, vertical suction 75kg, Sucker diameter 150mm/5.91inch. 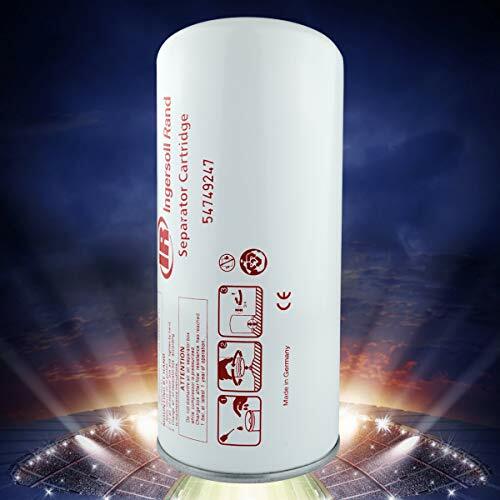 * Can be used for glasses replacement at home, move household appliances, refrigerators, freezers, washing machines; Labor-saving for car windshield change. * Great for lifting large glass, fix laminate floors as floor gap fixer, handling heavy mirror, moving windows tile granite sheet metal and any plane surface materials. * SODIAL is a registered trademark. ONLY Authorized seller of SODIAL can sell under SODIAL listings.Our products will enhance your experience to unparalleled inspiration. Max. 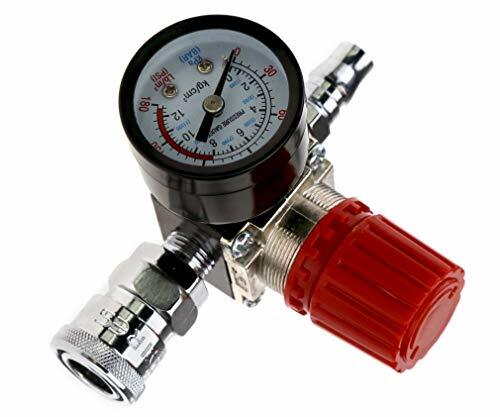 Pressure: 1.0Mpa Working Temperature: 5-60 Celsius Measure range: 0-150psi Weight: Approx. 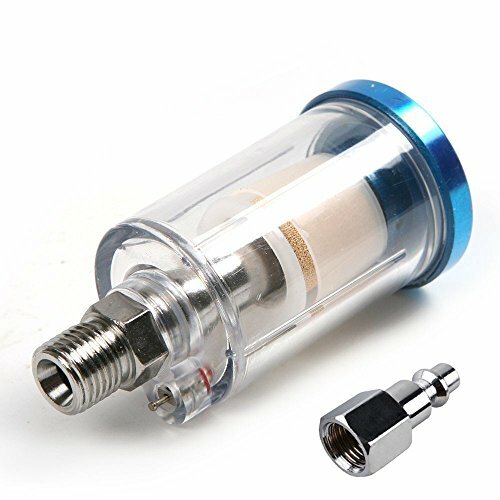 510g colour:Silver Material: Aluminum + PC + Plastic size:Air Inlet: BSP 1/2 inch Package Contents: 1 x Air Filter Regulator Only the above package content, other products are not included. Note: Light shooting and different displays may cause the color of the item in the picture a little different from the real thing. The measurement allowed error is +/- 1-3cm. stronger than ordinary ones and more durable. 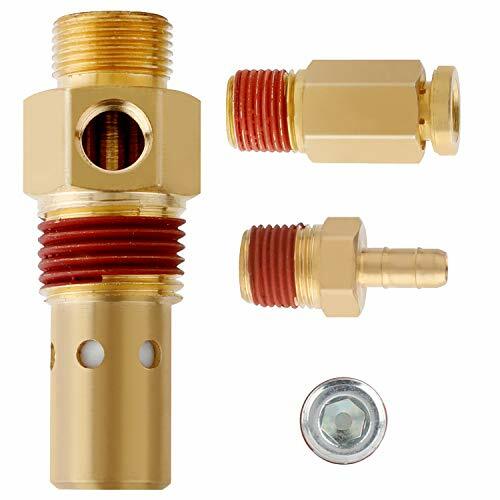 This air pressure regulator is compact, it also combines the functions of both air filter and regulator. 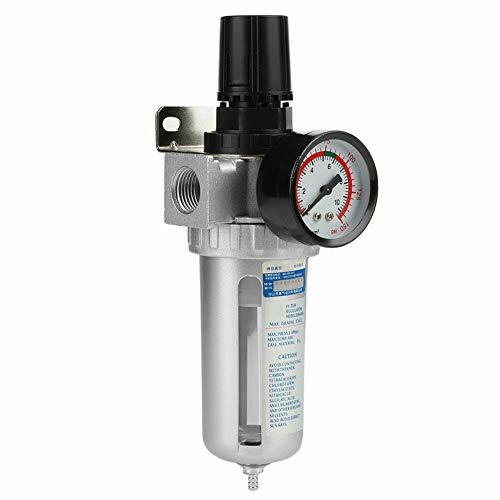 This air filter regulator can remove solid particles and condensates with compressed air, and prepare air properly for many types of compressed air tools and equipment. With the adjustable pressure control knob, you can pull up and turn the black knob at the top of the regulator to set desired pressure. It will make your work more accurately. Internal diaphragm design smooths and regulates the airflow, which also minimizes the negative effects of air pulsations and pressure imbalances created by piston-style compressors. 4 Port W/ Push - Pull Switch Replaces Hitachi 882-609. 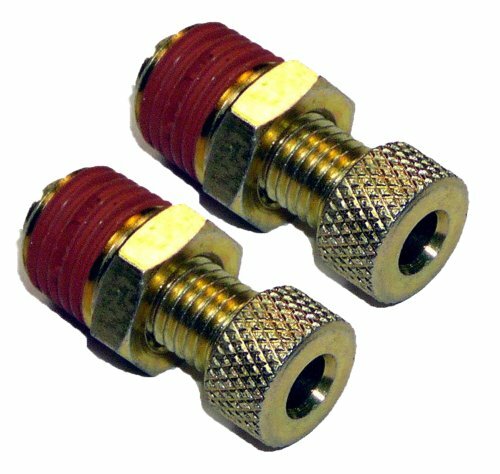 1/4" NPT Ports. 1/4" Quick Compression fitting for check valve line 20amp @ 120vac - 10amp @ 240vac. 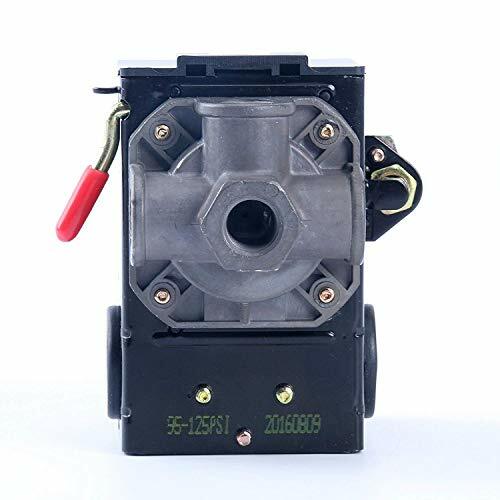 Fits Models: EC12 , EC129 , EC10 , EC119, EC79 & Others Cuts in at 95psi - Cuts out at 125psi and can be Adjusted ; 4 Port W/ Push - Pull Switch Replaces Hitachi 882-609. 1/4 NPT Ports. 1/4 Quick Compression fitting for check valve line 20amp @ 120vac - 10amp @ 240vac. For Porter Cable, DeWalt, Craftsman, Black and Decker and others! 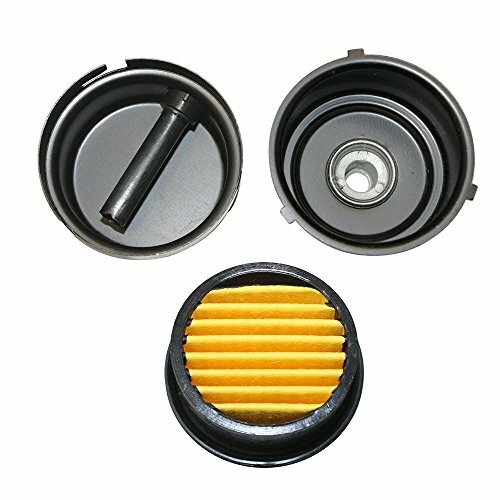 This high pressure air pump filter adopts compact density filter. Large volume, good water absorption, good performance. Made of high quality material, with long service life. It is not necessary to change frequently and can be reused after cleaning. 1. The filter element is soaked in diluted detergent water. 2. After the filter element is filled with water, remove and then dry and then soak into the detergent water. 3. Repeat air drying several times. 4. Do not squeeze or rub. Extrusion will result in deformation of the filter core and poor dewatering. 30-Day Money Back Satisfaction Guarantee Fit and Function Guarantee Fast, Free Shipping!